It’s taken longer for me to get round to this post than I would have hoped, mainly due to moving house and settling into a new workshop. The unpacking is finally over, and I’ll be back to making saw dust very soon. 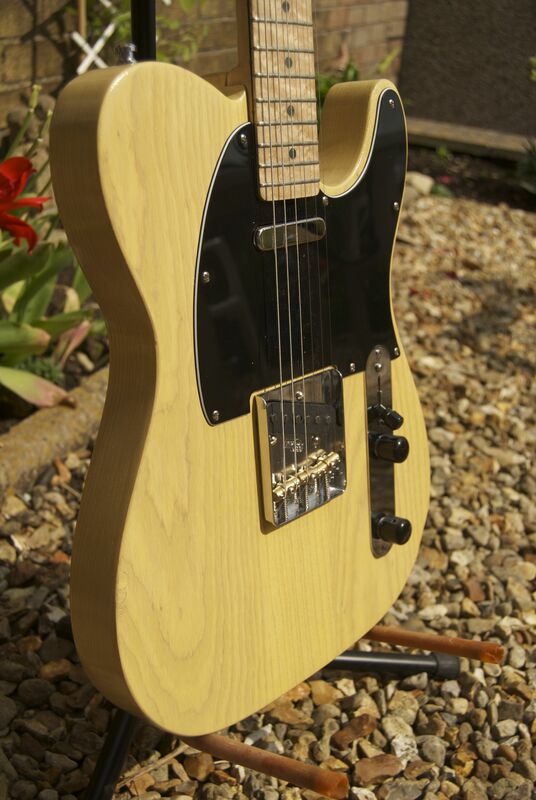 In the meantime, in my last post I promised a beauty pageant for the recently completed telecaster. 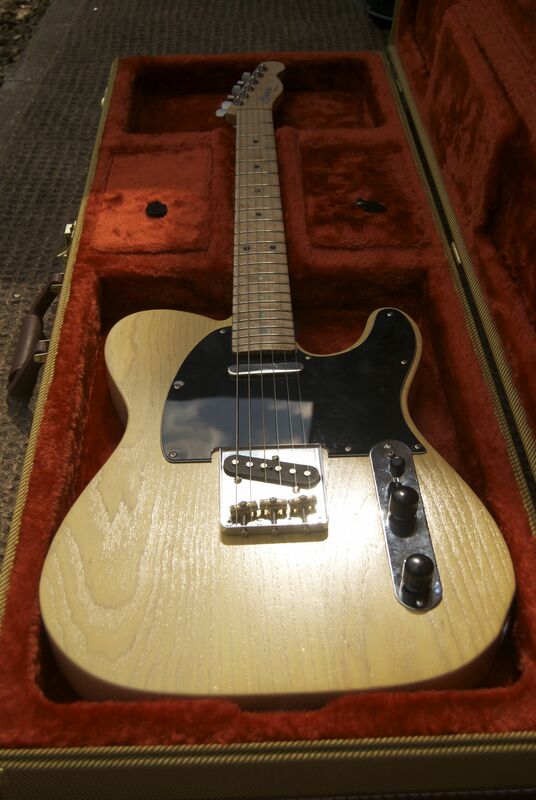 I can’t keep referring to her as just “the telecaster” though. Musical instruments deserve to have a name. A well made instrument (and I am talking about well made instruments, not mass-produced plywood guitars) has character, maybe even a soul. Musical instruments are not just a means by which a musician makes a sound – when you play a well made instrument you enter into a conversation with the instrument, with the instrument affecting your choice of notes and phrasing. It becomes alive. And all living things deserve a name. Which is all a long winded way of introducing Laurie. Maybe she was named after Good Lord Lorrie by the Turnpike Troubadours (a constant part of my repatoire), maybe not. I have no idea where the names for my instruments come from, but none of that is important, anyway. 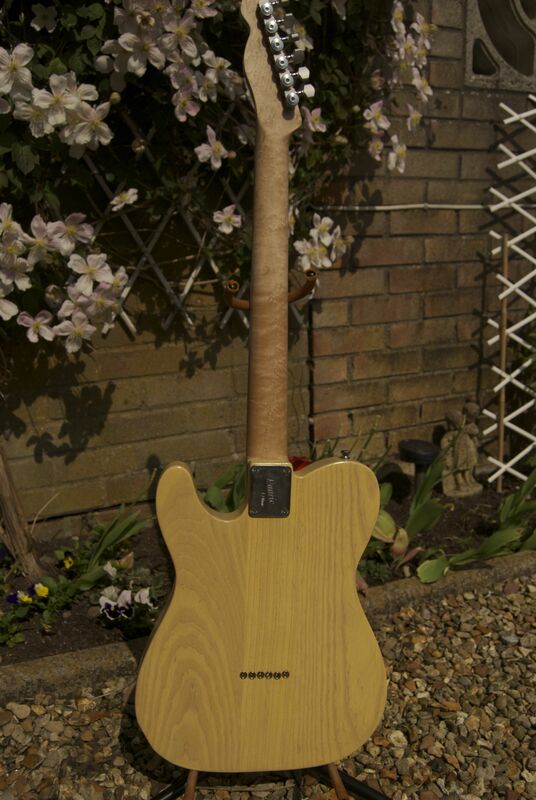 Birdseye maple neck and fretboard, with decal applied between coats of lacquer, bone nut, and Spertzal locking tuners. 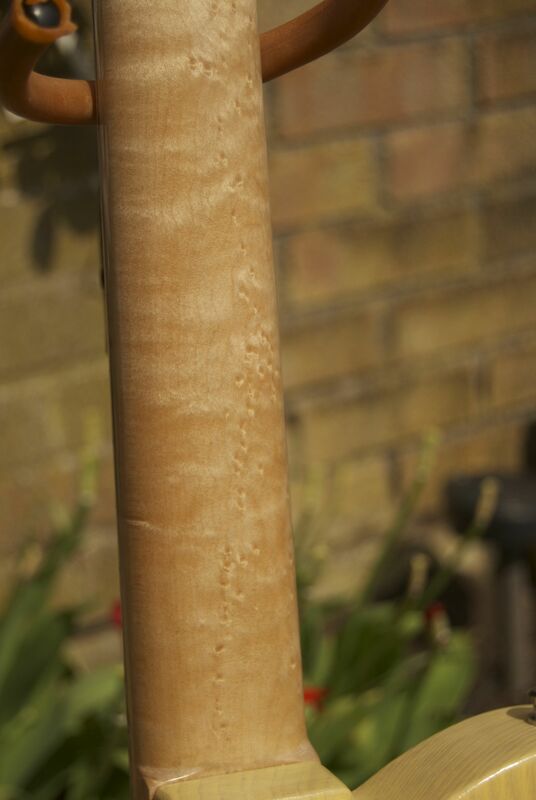 A close up of the dyed sycamour veneer between the maple fretboard and neck. The fretboard dots, and side position dots, are black Tahiti pearl. …and onto the buffalo horn control knobs. The Gotoh bridge has adjustable, lockable, brass saddles for better intonation while maintaining that mid-50’s look. 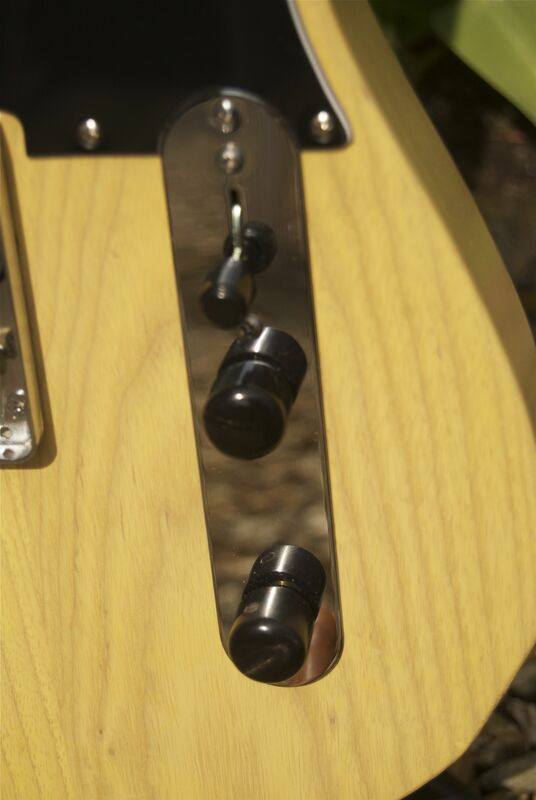 A close up of the tuners and the maple neck. As well as the birdseye figuring, the neck also has some lovely subtle flame, which a coat of amber shellac really brought out. 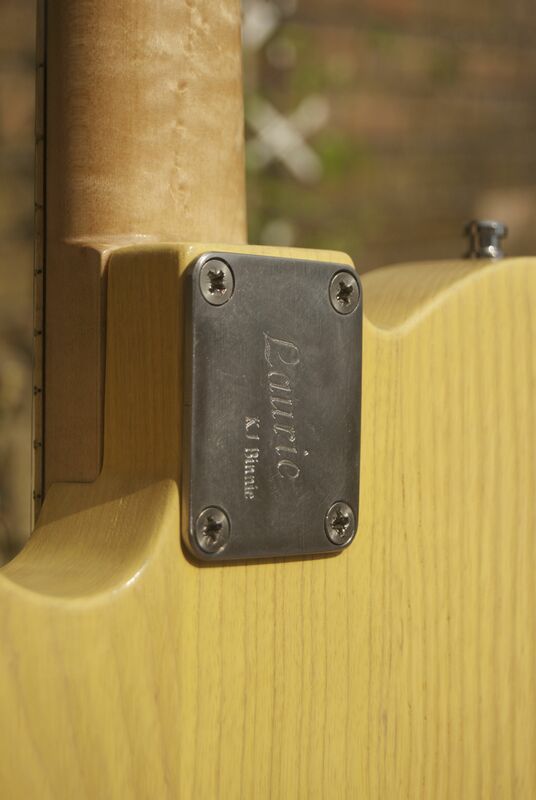 The neck plate is engraved to match the headstock decal. A good looking blonde – the butterscotch colour work lets the grain show through.